DYES, STAINS, GLAZE & Colorants | Page 1 of 1 , are attached by a durable brass ferrule to the natural finished thin wooden handle for better balance when flowing on finish. Achieve a pickled (whitewashed) look without the need of exotic tools and techniques. 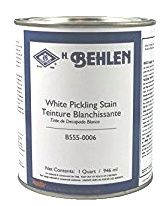 White Pickling Stain is formulated for application with a rag. due to their clarity, are best for maintaining whiteness of Pickling Stain. Some stain movement may occur if topcoat is brushed on. Clean Up: Paint Thinner or Mineral Spirits. BEHLEN Aniline Dyes, used on bare woods, produce excellent clarity of color while accentuating the grain. 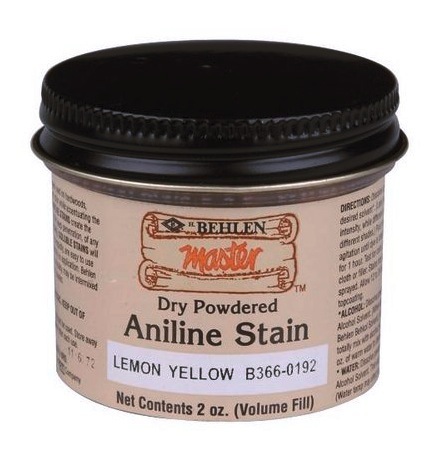 of any aniline dye type stain. are easy to use and provide flexibility in application. BEHLEN Aniline Dyes of the same solubility may be intermixed to produce a wide variety of colors. used on bare woods, produce excellent clarity of color while accentuating the grain. produce excellent clarity of color while accentuating the grain. it should be dissolved in BEHLEN Behkol (Denatured Alcohol) Solvent. may be intermixed to produce a wide variety of tones. ease of application, lack of lap marks and use under lacquer and other finishes. They will not leave a muddy surface. lacquers, oils or wax. Each top coat will produce a slightly different result in color. as well as coloring sap streaks and other dye requirements where quick drying is required. Use for the tinting of Lacquer or Shellac. These dyes may be finished with varnish, shellac, water based finishes, lacquers, oils or wax. Each top coat will produce a slightly different result in color. Instructions supplied with each package. Walnut Crystals yield shades of Brown from a Light Straw to Deep Brown. and enhance rich tones of walnut and other dark toned timber. Use on furniture, timber framing, woodwork, and small craft to achieve a natural aged look. An inexpensive and useful water Dye stain. Potassium Dichromate Accelerates natural oxidation and yields instant aging. Cherry, Mahogany, Oak or Walnut a range of rich warm aged tones. Tannic acid or tannin is present in woods like Cherry, Oak, Walnut, and Mahogany. Tannic acid can be applied to woods low in tannin so chemical stains that require tannin content will react. Potassium Dichromate and Ammonia react with tannin to yield rich wood tones. Mix with hot water - Instructions included. so chemical stains that require tannin content will react. Tannin is present in woods like Cherry, Oak, Walnut, and Mahogany. or Wipe on Water Base Urethane to color correct and blend finish repairs. Furniture Powders (aka Touch-Up Powders & Match or Blend Powders) are used with a touch-up brush & Two Minute Repair Liquid, Qualasole, or Wipe on Water Base Urethane to color correct and blend finish repairs. to color correct and blend finish repairs. & Two Minute Repair Liquid, Qualasole, or Wipe on Water Base Urethane to color correct and blend finish repairs. cement and reconstituted stone or marble, to mix with modeling plaster, wood pastels or putties. and repair of scratches or blemishes. 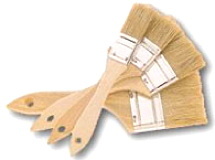 They are also used to patinate and age painted surfaces & new varnishes. intermediate tones and colors. 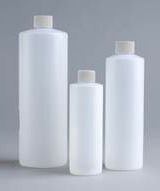 Earth Pigments are Not soluble in water or alcohol. millwork, furniture & interior wooden surfaces. 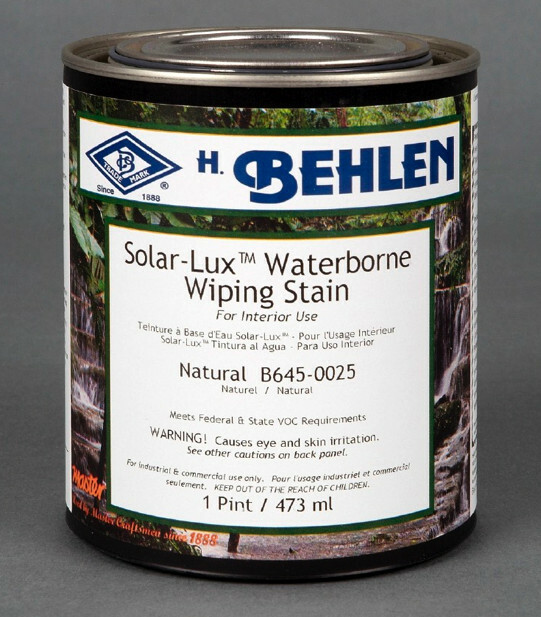 Solar-Lux Waterborne Dye stains may be sprayed, brushed, or wiped on. • fast drying • good color retention • minimal grain raise. (with proper drying conditions).- Pint Cans Discontinued - Limited to stock on hand. in a ultra low VOC solvent system. furniture, and other fine interior wooden surfaces. Pint Cans -- Discontinued - Limited to stock on hand.